Ref: 010601 £0.86 tax incl. Ref: 010603 £0.80 tax incl. Ref: 010604 £0.93 tax incl. Ref: 010605 £0.95 tax incl. Ref: 010606 £1.04 tax incl. Ref: 010607 £1.06 tax incl. Ref: 010608 £1.28 tax incl. Ref: 010609 £1.40 tax incl. Ref: 010610 £2.15 tax incl. Ref: 010611 £2.25 tax incl. Ref: 010627 £3.70 tax incl. Ref: 010628 £4.62 tax incl. Ref: 010629 £2.25 tax incl. Ref: 010630 £2.58 tax incl. 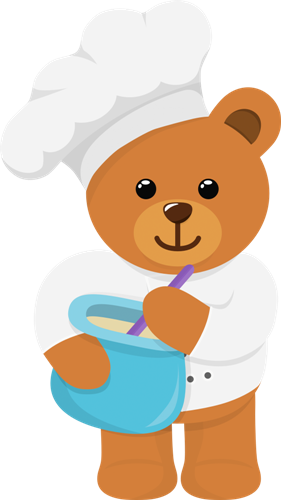 So, you have baked and decorated your cake? 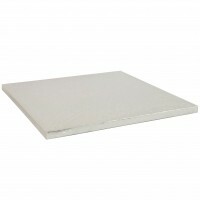 Now you will want to present it professionally and transport it safely. 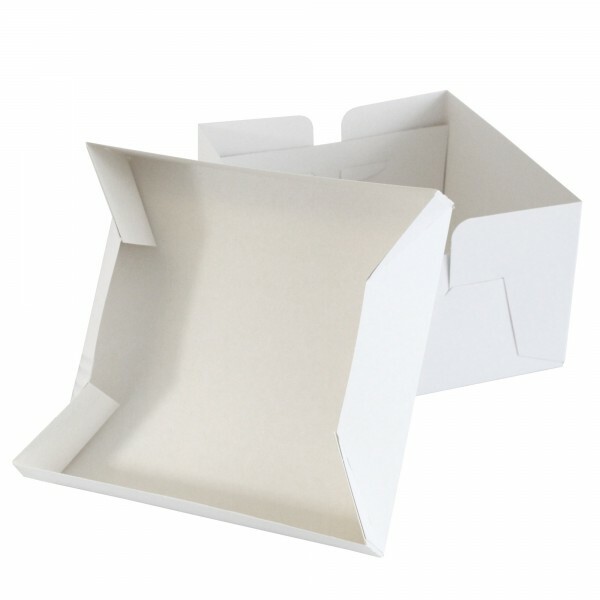 Our range of white wedding cake boxes are an ideal cost effective way of achieving just that! 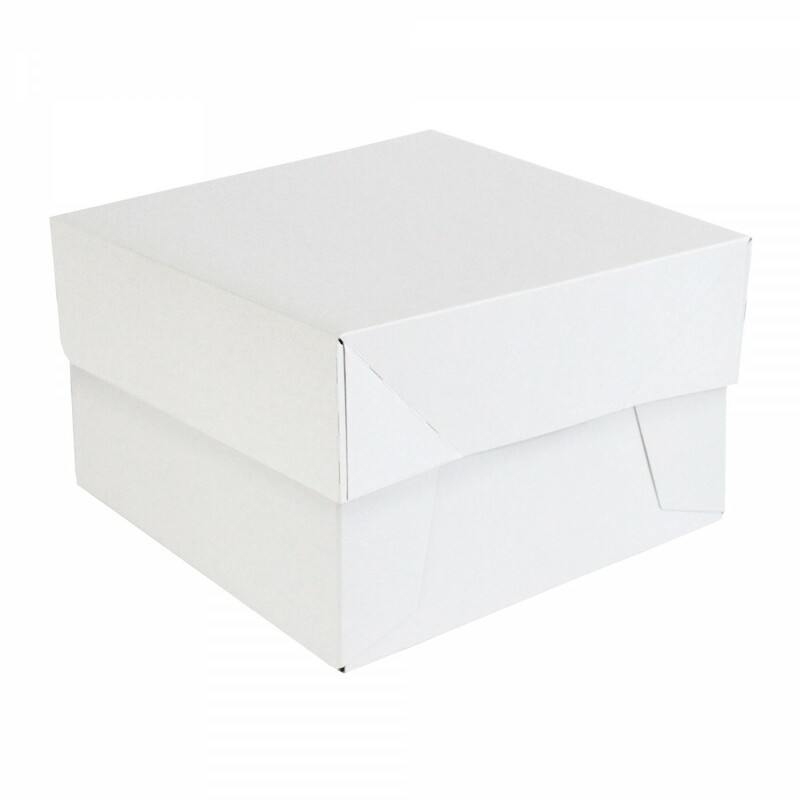 Our most popular product these white wedding cake boxes come in sizes 6” through to 20” square and 3 sizes of oblong. 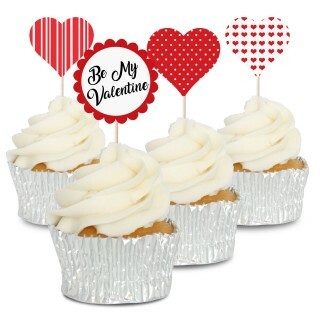 Choose a size the same as your cake board cake drum or cake card this will ensure that you cake does not move around in the box. E.g. 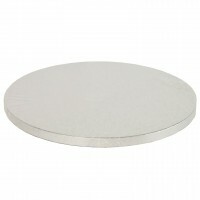 A 12” drum/board/card will snugly fit a 12” box. 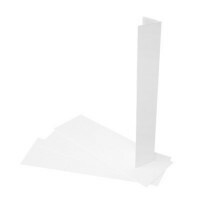 Our white wedding cake boxes are supplied in 2 pieces an easy to assemble base requiring no gluing, stapling or taping and a separate lid. 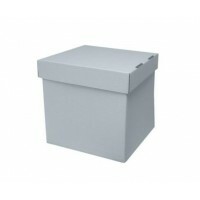 All boxes are 6” deep, (except 8" which are 5" deep) if you require more depth these can be used with our cake box extensions to raise the lid to 12” We also supply stack 'n' pack cube boxes suitable for American style stacked cakes. Do not stack these boxes on top of one another or place anything heavy on top of them.